Welcome to Signal Mountain Girl Scouts! Signal Mountain Girl Scouts (“O-Ten-Talla”) is the Girl Scout service unit comprised of all the troops in Signal Mountain, Tennessee. Whether you’re new to Girl Scouts, or new to Signal Mountain, we welcome you! 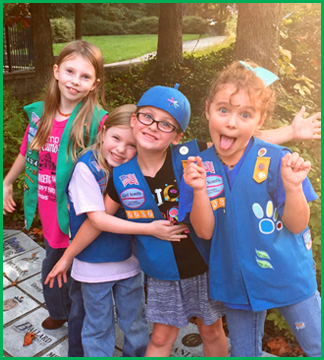 Girl Scouts is open to any girl from grades K-12, and you can find registration and general event information on this page, and forms here. New to Girl Scouts? Scroll down for some Frequently Asked Questions. SMGS email is signalmountaingirlscouts@gmail.com. Please adjust your email settings to allow communication via MailChimp and our website. 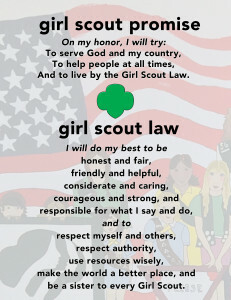 SMGS website: www.signalmountaingirlscouts.com. You must create an account on the website to view restricted areas, such as service unit events. This is for the safety and security of our girls. Thank you! If you have questions or need assistance regarding your login account on this website, or cannot find your site registration email, please email us. SMGS Facebook Group: www.facebook.com/groups/signalmountaingirlscouts. This group is for GS parents and volunteers. Click JOIN and an admin will add you to this private group. 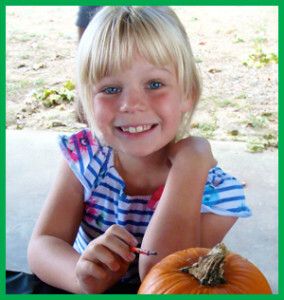 Membership is $35/girl* and $25/adult (you can register your child and yourself as an adult member at GSCSA). All adult volunteers must also be registered members, and complete a background check (cost is included in adult membership fee). *Girl membership does not include uniform (purchase via council shop or online — see below), nor troop dues. If you require financial assistance, please contact us. Health forms and permission slips are located here. Registration may be done throughout the year online at the council website (see above), or in person at our annual recruitment events in August. Please return completed health forms and permission slips to your troop leader. Once your daughter is registered, you will be receiving communication regarding troop number and leader’s name. Your troop leader will contact you to let you know when and where troop meetings will be held, and with information regarding uniforms, etc. Girl Scouts is a girl-led, community-supported organization. Our service unit consistently has the highest number of registered volunteers for the Chattanooga area. Talk to your troop leader, or service unit volunteers for more information. Thank you! Please note, we ask that all parents volunteer to help with at least one local service unit event per school year. Some of these events do not require adult registration. Our events are a lot of fun and benefit all the troops on the mountain. We greatly appreciate your assistance! Just a few of the service unit events we have planned for this year are listed below. Updated information will be posted to the SMGS Events List as dates are confirmed. Check back for updates throughout the year. How are the levels/troops divided? Most troops are divided by grade level and school. Adult GS members fill out volunteer forms, and are background checked (typically leaders are parents or other relatives of GS members). Then one of them decides to take the plunge and be a troop leader, or co-leader, or cookie parent, etc. We cannot have troops without leaders and parent volunteers. It takes a village. 🙂 You can help out as much as you like. See below for more information. What are the different levels? Are they all called “Girl Scouts”? Adult Members: Registered GS any age above 18. All registered Girl Scouts are called Girl Scouts, regardless of level. “Girl Scout Daisy” is the official title for a Kindergartener (or first grader), etc. Adult Volunteers: Registered Adult GS Members who have also completed a volunteer form and background check. All leaders, co-leaders, etc., are Adult Volunteers. Do I have to register as an Adult Member or Volunteer? While we encourage all parents/guardians to register as adult members, and volunteers if possible, it is not required. However, we ask that all parents/guardians sign up to help out with at least one service unit event per school year. Talk to your troop leader for more information on volunteering with your troop. Whether it’s donating craft supplies, helping out at troop meetings, or being a “cookie parent,” there is a wide range of opportunities for volunteering within a troop. Every little bit helps. Don’t worry about being new. Your leader will let you know what’s needed. How big of a time/effort commitment is Girl Scouts for me and my daughter? As big or as little as you/she wants it to be! We have some girls who are so busy they cannot even attend troop meetings, but instead register in order to attend monthly service unit events. We have others who only attend meetings, but not events. Most attend both. However, the more time and effort you (and your child) put in, the more you (and she) will get out of the experience. Memberships in GS are from October 1 – September 30. Adult members have the option of purchasing a lifetime membership. Contact us for more information. How often will the troop meet? Where and when? It varies by troop and level, and is also dependent upon volunteer, parent, member, and location availability. Troops typically meet at least once a month. The where and when also varies by troop. Your leader will contact you with specific meeting information. Many of our troops go on hiatus in summer time, but this also gives the girls an opportunity to work on independent badges and fun patches. Some troops opt to continue meeting during summer. Patches? So I need to buy my daughter a vest/sash? Where do the patches go? Please contact your troop leader regarding suggested uniform information for the troop. Some troops are big on vests and lots of badges (official, earned GS patches; front of vest/sash) as well as “fun” patches (back of vest/sash). Some troops choose not to work on lots of badges/patches, but to focus on other projects. While technically, all girls should have some kind of “official” uniform piece, the vest/sash with identification pins and patches is usually what is suggested. But it’s not technically required, and financial assistance is available for those who need it. See below. Khaki pants, skirt (skort), or shorts, or coordinating pants, skirt (skort), etc., from GSUSA store. You can buy vests, sashes, and more GS goodies online or at our council shop, which is located at 6101 Enterprise Park Dr, Chattanooga, TN 37416. Please visit the GSCSA website for hours of operation. If you need help in figuring out where to put patches, badges, and pins, check out this link. Do I need the “starter kit”? That’s entirely up to you. But it’s always good to check with your leader first before purchasing any books. Do you offer financial assistance with uniforms (or membership)? Our council provides financial assistance to those families who need it. If you need a financial assistance application form for membership or for uniform, please contact the Service Unit Manager at signalmountaingirlscouts@gmail.com. I keep seeing “service unit” references here — what’s a service unit? There are a variety of organizational levels within Girl Scouts (largest to smallest): Global (WAGGGS), National (GSUSA), Council (ours is GSCSA; councils are geographically-based), Service Unit (SMGS), Troops, and Independents (a.k.a. “Juliettes”). Our service unit is made up of all the Girl Scout troops based on Signal Mountain. What does a service unit do? We do LOTS! We have an incredibly active SU and an outstanding group of leaders. In addition to coordinating recruitment/registration events for all girls on Signal, we also host events for all the troops here as well, at least once a month during the school year, and day camp in summer. All our SU volunteers are also troop leaders (and parents to GS members). For information on our service unit events, click here. Um, I can’t view that page. It says “Restricted Access” — why? Only troop parents and registered volunteers may view certain areas of our website. This is to ensure the safety and security of our girls. If you are a parent or registered SMGS volunteer, go to the HOME page and scroll down to register a login on the site. I got some weird error message that says “Well, this is embarrassing” — what’s that? Some areas of the site are for leaders only, and that message can also indicate areas still under construction. We appreciate your patience as we continue improving our website to meet the needs of all our visitors, parents, and leaders. I tried to register a user account here but didn’t get the password email. What do I do now? The email will come from user “Word Press” which is the software our site uses. Please check your spam folder, and ensure you entered the correct email address when you registered. If you cannot find it, please email us. I have another question but it’s not here. What do I do? Send us an email at signalmountaingirlscouts@gmail.com and we will add your question (and answer it, as well).